The land belonged to my neighbours, but having been cut off from their property by the new highway, it had been neglected for over a decade. Well, to be fair, the neighbour’s property on the other side of the highway is still overgrown with gorse, but at least on my side it wasn’t overgrazed for that decade. After extended negotiations, I managed to buy the Park (as I am now calling it), and began clearing away the gorse and other obvious undesirables. That was about 10 years ago. The view from my living room that was hidden by the wall of gorse. 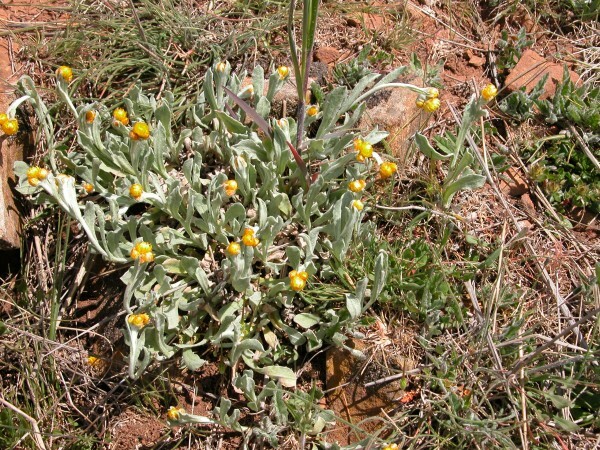 Subsequently, I have admired it, tried (and failed) to get funding for preserving and enhancing the startling amount of biodiversity in it; and over-grazed it myself in times of drought and other forms of stress leading to management panic. This year, though, something quite different has happened—both inside of me and within the Park. Having overgrazed it quite badly in winter (another story), I decided firmly not to stock it at all for the next year. Then, the advent of Felix, Clara and Sabrina meant that I couldn’t run the working dogs where I normally do, and so I began running them in the Park. Which means that every day, morning and evening, I wander around the Park with nine dogs, marvelling at the tenacity of wildness in the face of human determination to “improve” the landscape. And that has led me to a rediscovery of things I knew, but had forgotten, about this scrap of abused, neglected landscape. 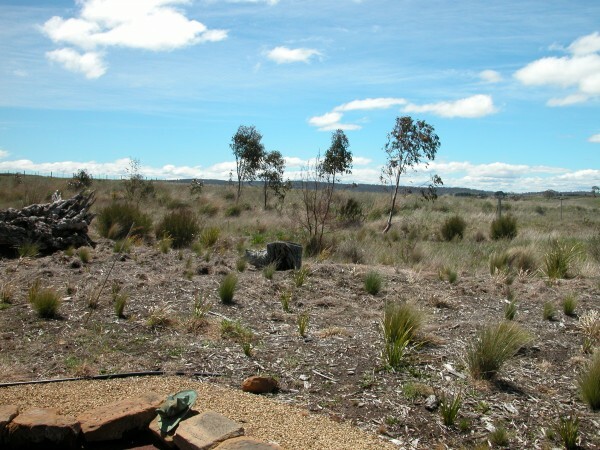 So, in addition to pretty much every exotic known to Tasmania, the Park has a surprisingly rich complement of natives, from tiny vanilla lilies and spreading everlasting daisies, right through the range of native grasses and sedges. 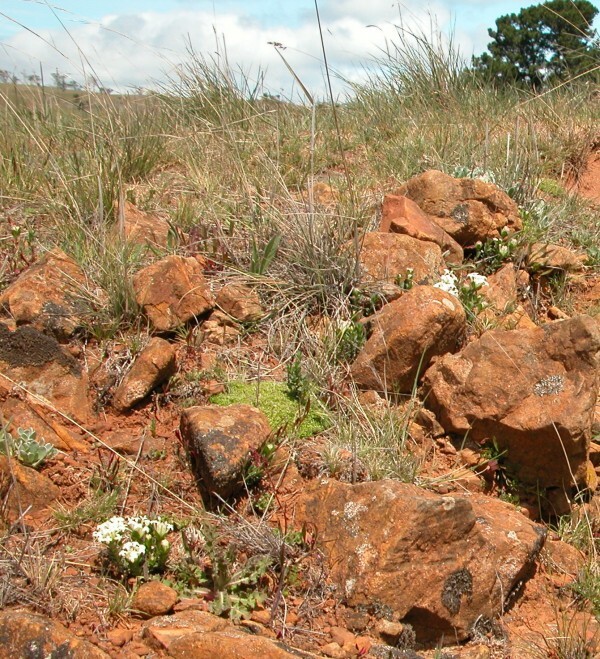 And to my great delight, I discovered a patch of Peachberry heath fighting its way up through a pile of ancient metal straps left behind in a small quarry. 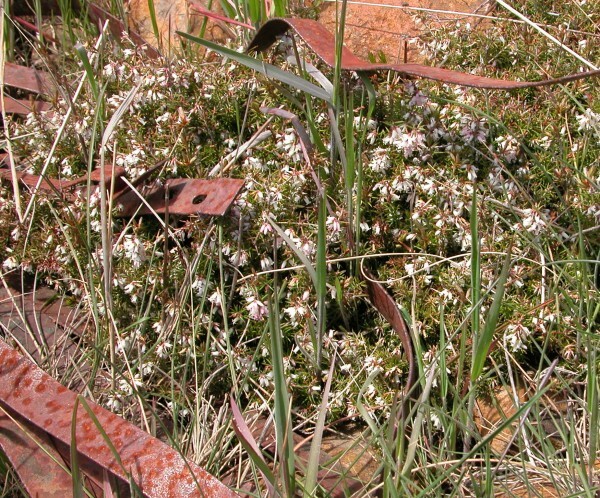 Peachberry heath amid old metal straps. Small (read tiny) vanilla lilies. The combination of exotic and native plants, by the way, makes this possibly the single most nutritionally diverse paddock on my farm! Just for fun, I decided to do a comparison of the exotic v native plants in the Park. I’m sure I’ve missed a lot, but it’s a pretty instructive list. You don’t have to go to a nature reserve to find wildness. You just need to get your eye—and your heart—in tune with what is out there, even in tame-looking places, waiting to get the chance to breathe.